Hellboy is returning to theaters this April, with Stranger Things’ David Harbour in the lead role. From the pages of Mike Mignola’s seminal work, this action packed story sees the legendary half-demon superhero called to England to battle a trio of rampaging giants. When it came to casting an actor with the depth, humor and sheer physical presence to play the outsized title character, the filmmakers were unanimous in choosing David Harbour. 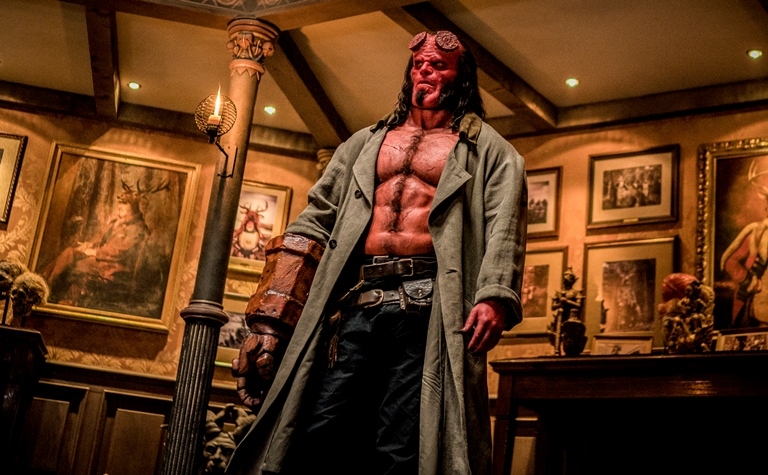 Casting Harbour turned out to be a pivotal creative decision, says Producer Lloyd Levin, because the actor perfectly captured the version of Hellboy the filmmakers were going for and then took it to the next level. Directed by Neil Marshall, the film also stars Milla Jovovich, Sasha Lane, Daniel Dae Kim in McShane in significant roles. PVR Pictures in association with MVP Entertainment will release the film in India.